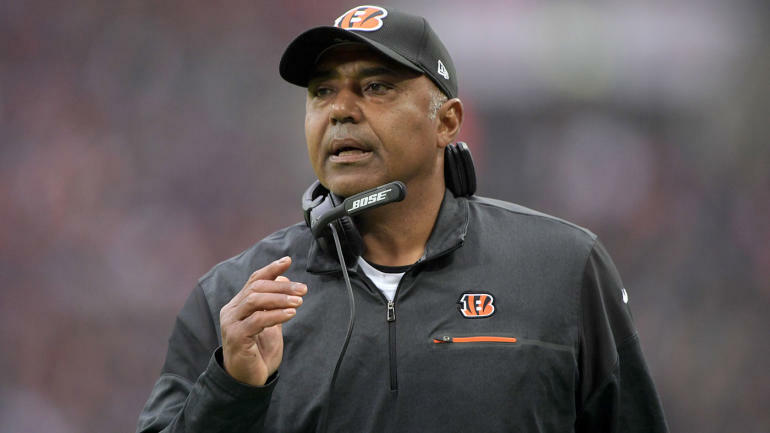 Bengals signed head coach Marvin Lewis to a two-year contract through the 2019 season. Hi, happy new year. Now that that’s out of the way, let’s get downnnnn to the nitty gritty (sorry I’ve been really into HQ Trivia lately which is where that phrase derives from). Marvin Lewis just wrapped up another season as Head Coach of the Cincinnati Bengals where he, yet again, under delivered. For the second straight year the Bengals finished 3rd in the AFC North with a sub-.500 record. In the 5 seasons before that, Marvin Lewis led the Bengals to the playoffs where they were eliminated on Wild Card Weekend each time. 5 years, 5 playoff games, 5 L’s. In his 15 seasons as HC, he’s taken the team to the playoffs 7 total times. 7 losses. 0-7 in playoff games. I have the same amount of playoff wins as Marvin Lewis. He can’t get it done when it matters most, in the postseason, and now he seemingly can’t get it done in the regular season either. Perfect recipe for a contract extension! In all seriousness, Marvin Lewis almost certainly has blackmail on the Bengals owner. There’s no other logical explanation as to why he remains as head honcho. It’s become one of my favorite running jokes in the NFL. Also on the list to name a few: the ineptness of the Cleveland Browns, Andy Reid’s clock management blunders, the Bucs always being on the brink of a breakout. If I’m a Bengals fan, I’m sick to my stomach. Enough is enough with this guy. And what does this say about the organization as a whole? What’re the expectations? Failure to succeed year after year and you get contract extensions; it’s insanity. There’s nothing worse for an NFL team than finishing middle of the pack year after year with no real direction. With that being said, I take great pleasure in this because better someone else than the Jets who have their own issues. Death, taxes, and Marvin Lewis’s job security. What an awesome way to explain this-now I know evertyhing!